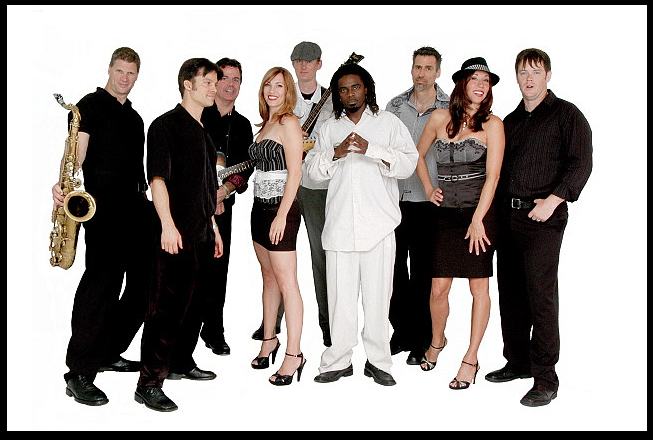 The P G Band is a refreshing, energetic, modern day variety party band with an edge. They implement a customized blend of many musical styles into their sets including: Top 40, Disco, Current Dance, Swing, Big Band, Latin Pop, Cocktail Jazz, R-B and Oldies. The P G Band has a solid reputation within the entertainment industry for two significant reasons. The extremely high quality musicians in the band and their innate ability to read a specific crowd. The bands performance stimulates dancing and audience interaction. This usually equates to a packed dance floor of satisfied, happy customers, clients or guests. Mission accomplished by performing a vast array of carefully chosen, tried and true platinum hit songs from the most popular genres of music past to present. The group’s distinct sound, consistent members, versatility and great showmanship have made them the perfect choice of live entertainment for countless Award Ceremonies, Corporate parties, Weddings, Clubs, Festivals, Casinos and Special Events. Sample Song List here and scroll to the bottom for more. JUMP JIVE &WAIL- BRIAN SETZER ORCH. LONG TRAIN RUNNING- DOOBIE BROS.
OLD BLACK MAGIC- SAMMY DAVIS JR.